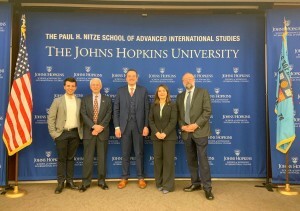 On March 5, the Georgian Association in the USA, along with Johns Hopkins SAIS Eurasia Club, hosted a discussion with Ambassador of Georgia to the United States David Bakradze and President of the America-Georgia Business Council Dr. Mamuka Tsereteli. 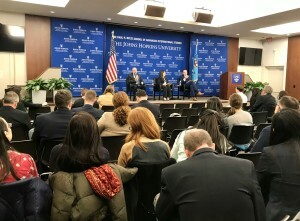 The event took place in Kenney Herter Auditorium of the Johns Hopkins School of Advanced International Studies (SAIS) and focused on the security, political, and economic pillars of U.S.-Georgia partnership. 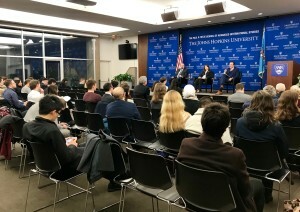 Ambassador Bakradze began his remarks by examining the persistent threat facing Georgia’s security and stability from the Russian Federation. He reminded the audience of Moscow’s aggression in 2008 and underlined the continued presence of Russian troops and military bases in the occupied regions. 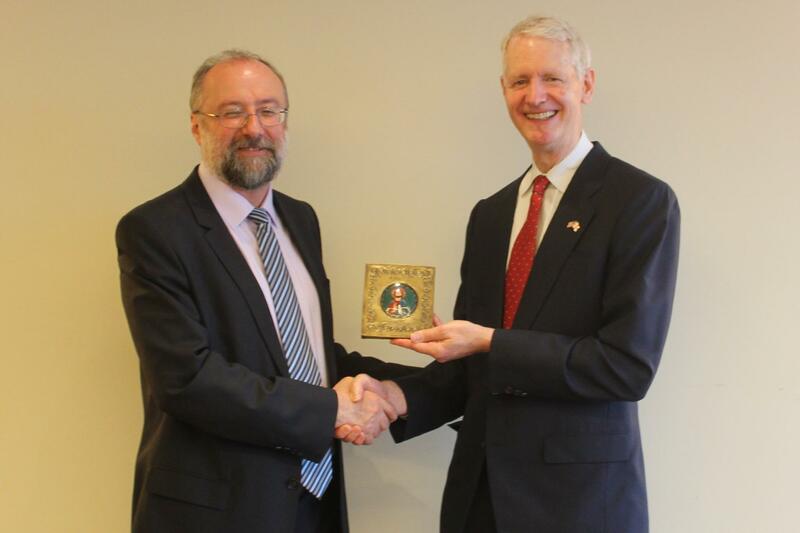 Shifting to Georgia’s future, the ambassador then spoke of the country’s Euroatlantic aspirations. 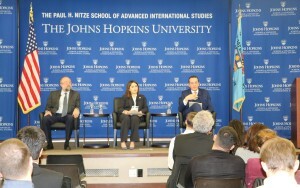 Explaining that Georgians share conviction in the values and principles of democracy and human rights, he declared joining the transatlantic community to be the country’s “civilizational choice.” Thus, he continued, “every government serves this choice of Georgian people to become part of the European Union and NATO.” He also touched on Georgia’s bilateral security relationship with the United States, stressing the country’s contribution in the resolute support mission in Afghanistan. 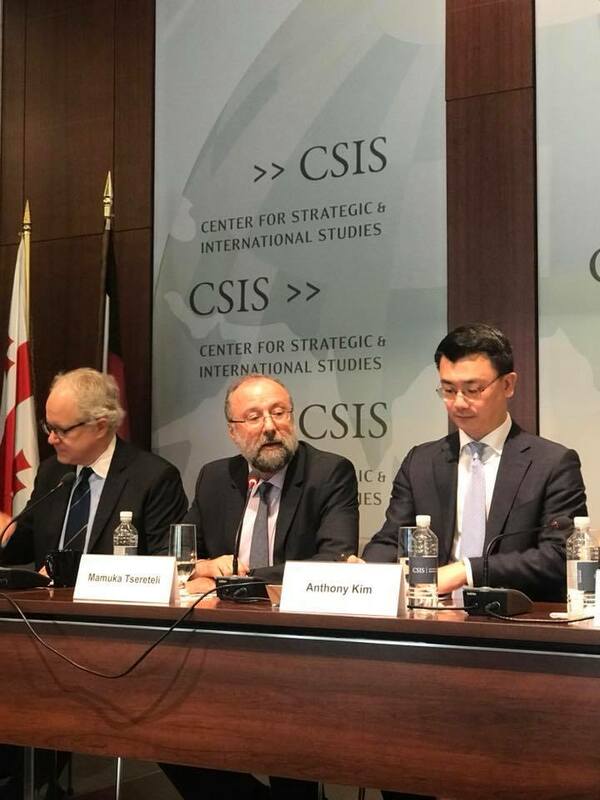 Dr. Tsereteli continued the discussion by focusing on Georgia’s bilateral economic relationship with the United States, which he noted started to develop in early 1990s and evolved into a serious business and economic partnership. 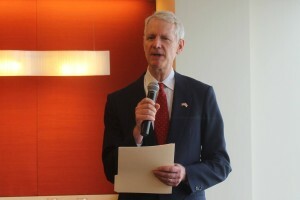 Though the level of political engagement is larger than business and economic ties, he explained that there are always quality U.S. investments in Georgia. 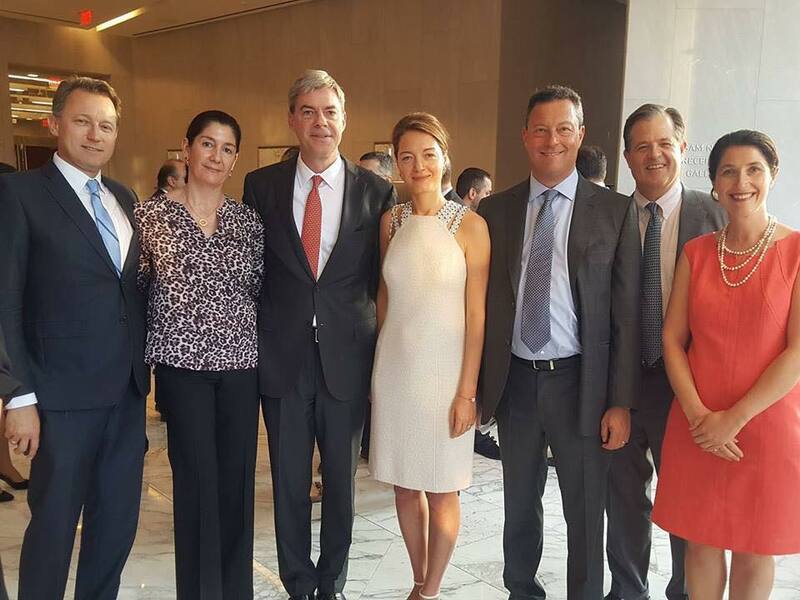 This has set up high standards for future Foreign Direct Investments and over the years contributed in how businesses operate in the country. 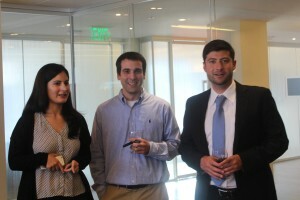 He noted that Georgia is consistently ranked among the top countries to do business in by the World Bank. 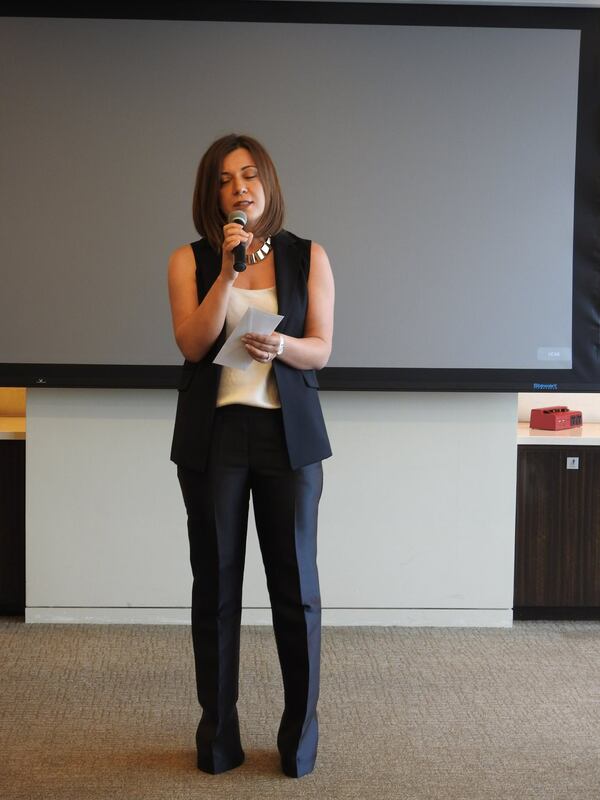 The opening remarks were followed by a Q&A segment moderated by Ms. Darina Markozashvili, who serves on the Board of Director of the Georgian Association. 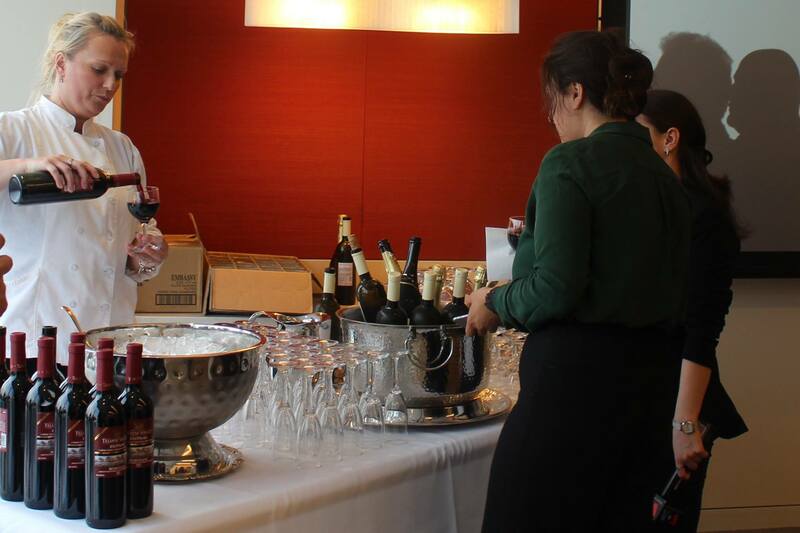 After the formal dialogue, the speakers and guests moved to the reception where the they continued the conversation over Georgian food and wine. 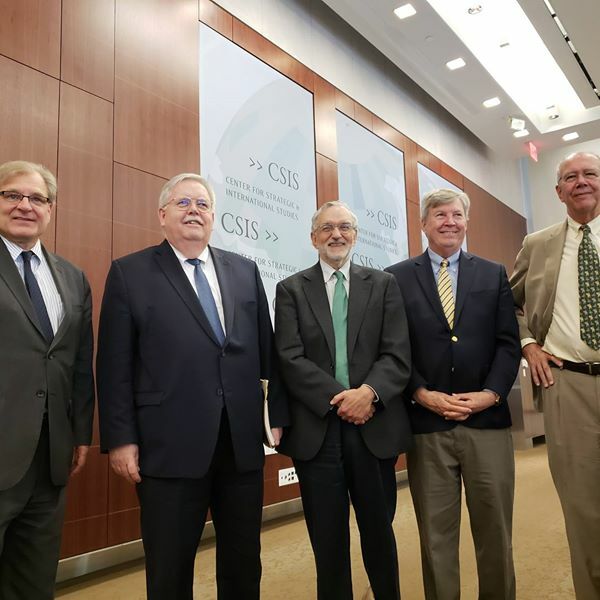 The Georgian Association in collaboration with the Levan Mikeladze Foundation and the Center for Strategic & International Studies (CSIS) held a widely attended conference celebrating the Centennial of the Georgian Democratic Republic (1918-21) with the theme of Past, Present and Future of Georgia. 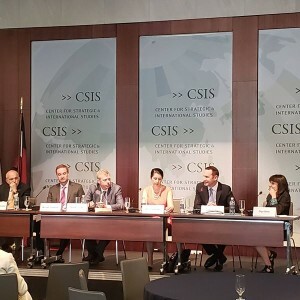 The conference was held on May 9, 2018 at CSIS headquarters in Washington DC with opening remarks by Elisabeth Kvitashvili, President of the Georgian Association in the USA, Redjeb Jordania, son of the first president of the Georgian Democratic Republic, Tina Mikeladze, President, Levan Mikeladze Foundation, and Ambassador David Bakradze, Ambassador of Georgia to the United States. 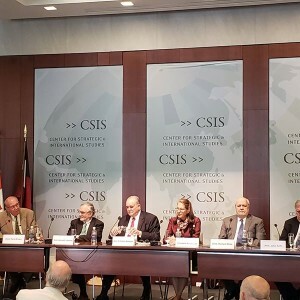 Three speaker’s panels included several distinguished guests, including former US ambassadors to Georgia and former Georgian Ambassadors to the US. Featured speakdrs included Deputy Assistant Secretary of State Bridget Brink, Former Deputy Secretary of State Richard Armitage, and Foreign Policy Adviser to the Prime Minister of Georgia, Tedo Japaridze. 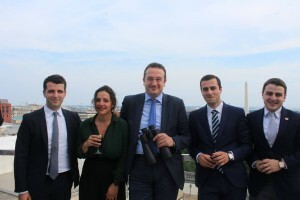 The conference was attended by representatives from government, academia, and the Georgian community who at the conference, heard about the many challenges faced by Georgia in the last 100 years, but also of the bright future ahead for the country. Following the conference, a reception included performances by Georgian and American singers who provided a medley of folk songs and chants, as well as national anthems of the Georgian Democratic Republic and of the current independent state. 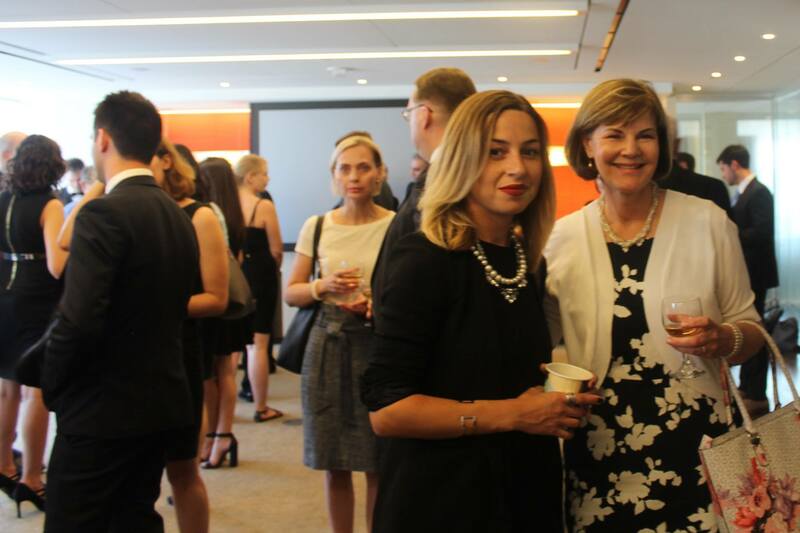 Two special guests of the reception, Ms. Toby Davis from the Department of State and Ms. Danica Starks from the Department of Commerce were recognized for their long-term service and contribution to the strengthening of the US-Georgian strategic partnership and friendship. Two members of the Georgian Association Board of Directors, Dr. Mamuka Tsereteli, and Dr. Stephen Jones, who are stepping down from the board, were recognized for their many years of service. Moderator: Hon. 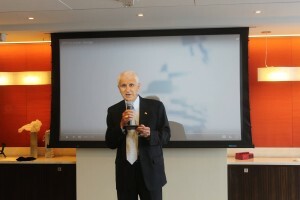 S. Enders Wimbush, Senior Partner, Stratevarious Inc.
Georgian Association to Commemorate the 100 year Anniversary of the first Georgian Republic! 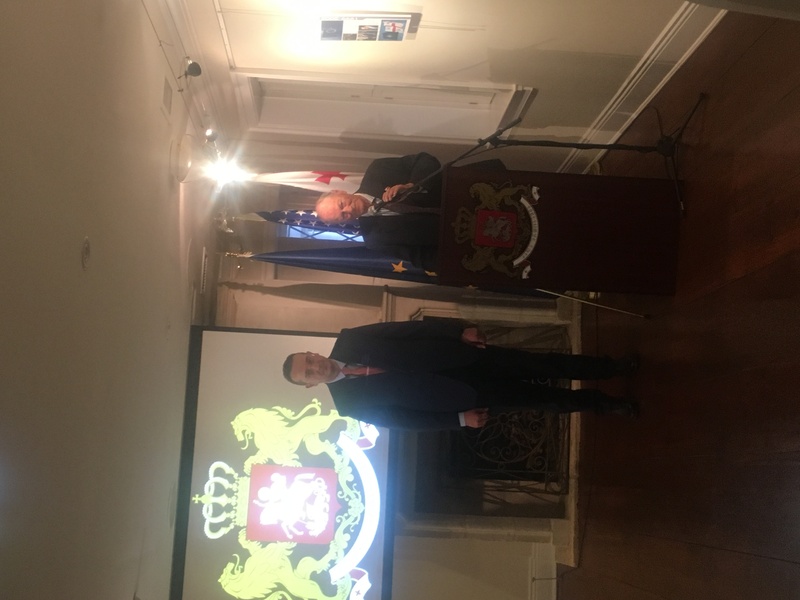 Please join the Georgian Association in the USA on May 9, 2018 to commemorate the 100 year anniversary of the founding of the first Georgian Republic. The Georgian Association, with support from the Levan Mikeladze Foundation, will celebrate this important historic occasion with a day-longconference at the Center for Strategic and International Studies (CSIS), followed by a gala reception. 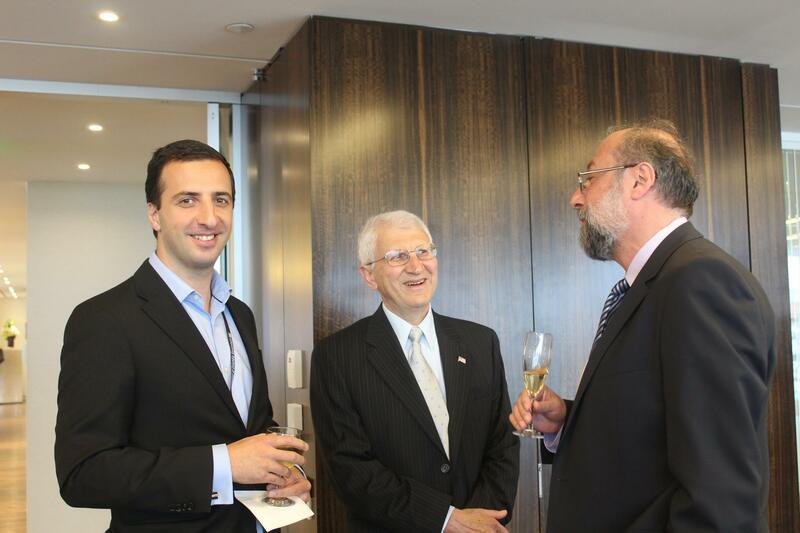 Mr. Redjeb Jordania, the son of the first republic’s President, Noe Jordania, will be joining us for the celebration. 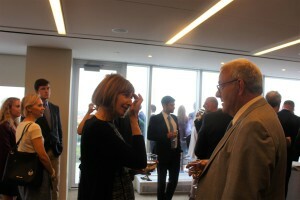 Other guests will include US and Georgian government officials, former US ambassadors to Georgia, representatives of academia, think-tanks and private sector, and members of the Georgian-American Community. Please save the date for this event for which a formal invitation will be sent in Spring 2018. 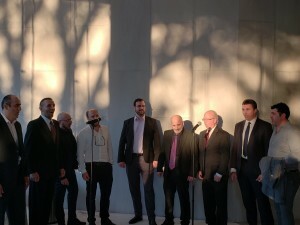 The Georgian Association is organizing a peaceful rally in front of the Russian Embassy in Washington, DC to protest the occupation and creeping annexation of Georgian territories by the Russian Federation. 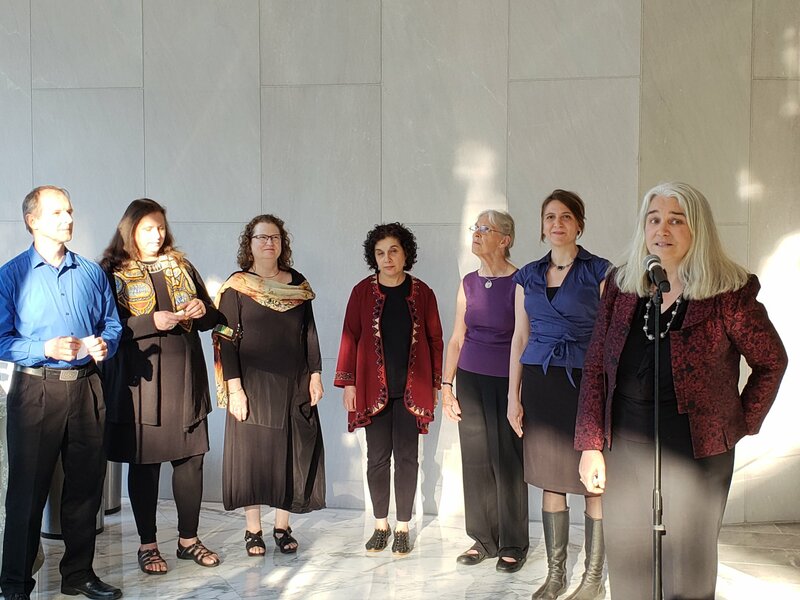 We will also protest Russia’s annexation of Crimea, aggression in Eastern Ukraine and against other neighbors in Central and Eastern Europe. Please join us from 12:30PM to 2:00PM on September 6, 2017. 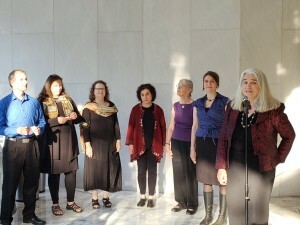 The Russian Embassy is located at 2650 Wisconsin Avenue NW. 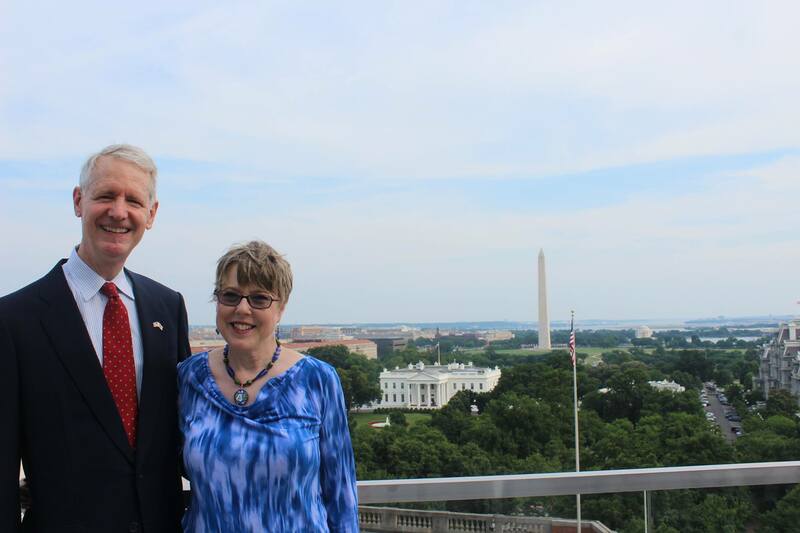 We will gather in the lot which is across the street from the embassy entrance gate. Thank you. 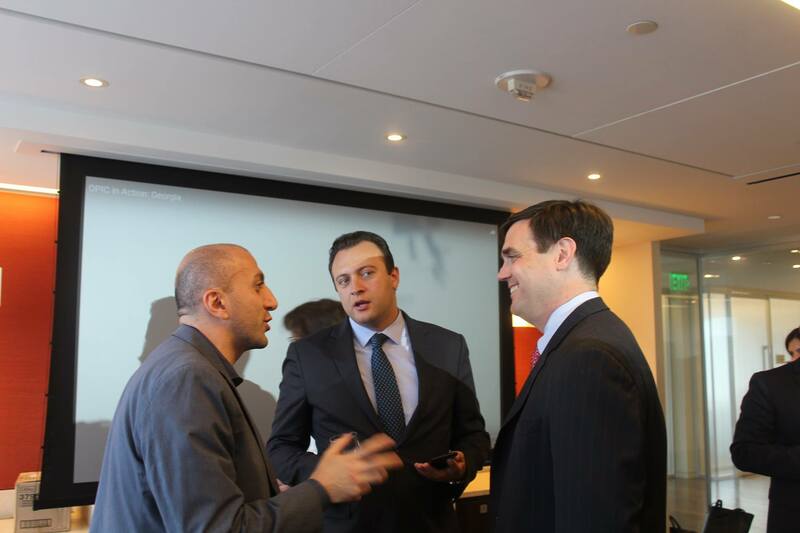 We look forward to seeing you there to help us protest Russia’s continued aggression towards its peaceful neighbors. 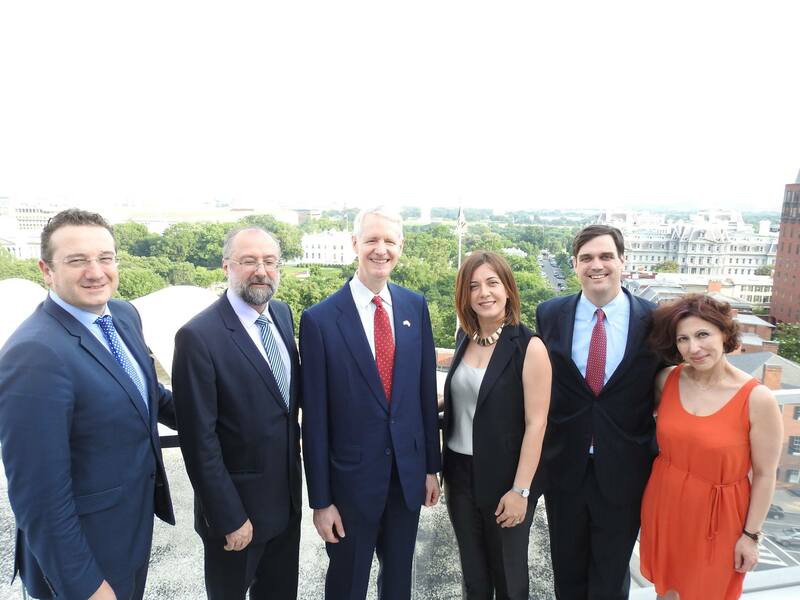 On June 12, 2017, the Georgian Association in the US hosted its traditional annual reception to celebrate Georgian independence and recognize friends of Georgia who contribute to the US-Georgian partnership and who help and support Georgia. 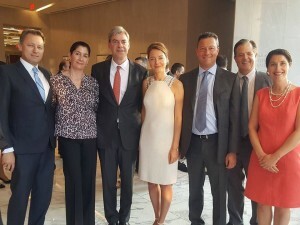 This year the Georgian Association honored Mr. Kenneth Angell, Managing Director, Project Finance, Small and Medium Enterprise Department, Overseas Private Investment Corporation. Mr. Angell was awarded for his tireless effort for almost two decades to facilitate US investments, economic development and job creation in Georgia. He is a true friend of Georgia. Mr. Tsotne Dadiani, member of the Board of Directors of the Association, read a message from the President of the Georgian Association, Ms. Elisso Kvitashvili, announcing the recipient of the GA’s annual award. 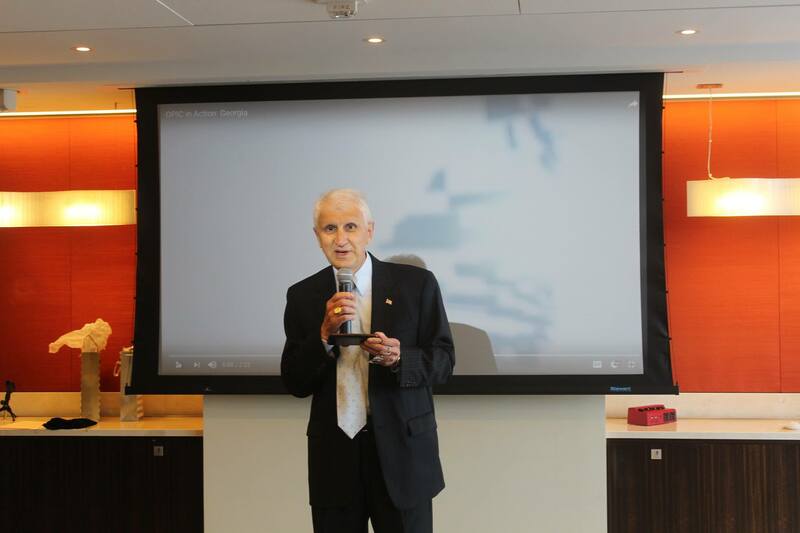 Mr. Mamuka Tsereteli, also a Board Member, introduced Mr. Angell to the audience and presented the award to him. 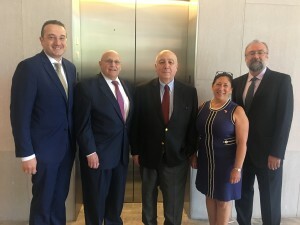 The Georgian Association also announced its continued support for the Academy of the Georgian Heritage, an important organization dedicated to the education of Georgian American children in the Georgian language and cultural heritage. 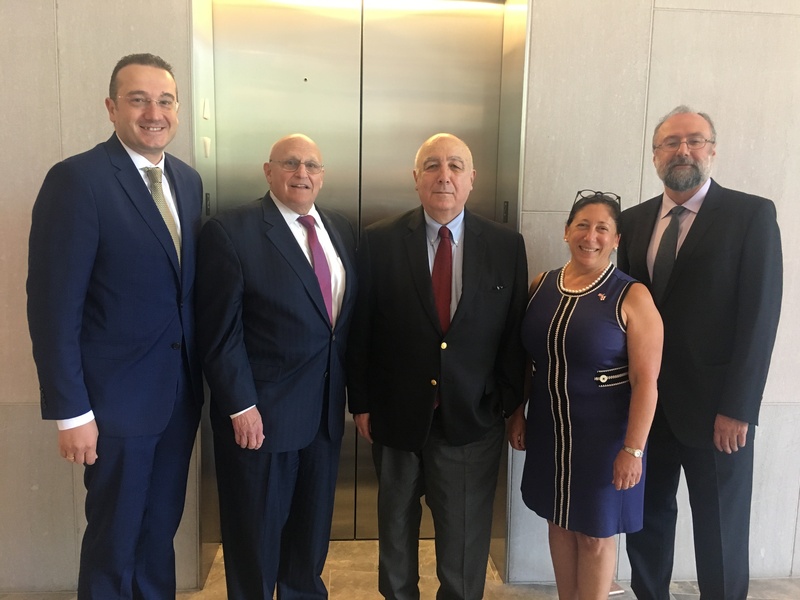 The Georgian Association awarded the Academy with a grant of $4,000 to support the development of new educational programs at the Academy. Traditionally, Guests enjoyed Georgian wines and food. 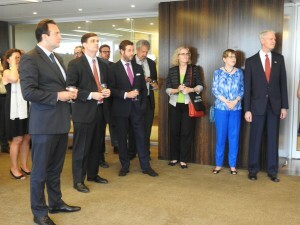 The Georgian Association participated in a meeting on June 21 of the Central and East European Coalition (CEEC) with former Secretary of State Madeleine Albright who is advising presidential candidate Hillary Clinton on foreign policy. The CEEC reiterated its mission of coordinating mutual concerns of the member countries regarding United States policy toward Central and East Europe. Among the topics discussed were the concern about the future of Russian aggression especially in the Ukraine, and continued occupation of territory in Georgia. Sanctions imposed on Russia have not impacted Putin’s behavior in the region, and how the United States deals with the aggression will send a strong signal throughout Europe. Also discussed were Brexit should it occur, refugee migration, visa waivers, and the need to strengthen NATO. Secretary Albright welcomed the CEEC’s concerns and suggested a follow-up meeting in late summer. 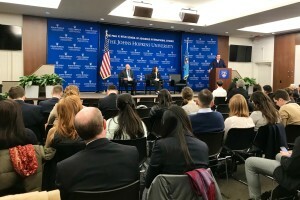 On May 12, 2016, the Levan Mikeladze Foundation and the Central Asia-Caucasus Institute at Johns Hopkins University School of International Studies (SAIS) co-hosted a conference “Strategic Pillars of Security for Georgia:Trans-Atlantic Integration, Economy and Democracy”. 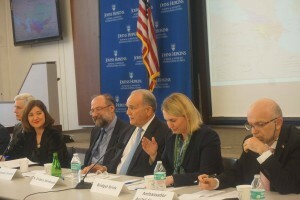 Former President of the Georgian Association Mamuka Tsereteli and President of the Levan Mikeladze Foundation of the Caucasus Studies Tina Mikeladze opened the conference on behalf of the organizers. 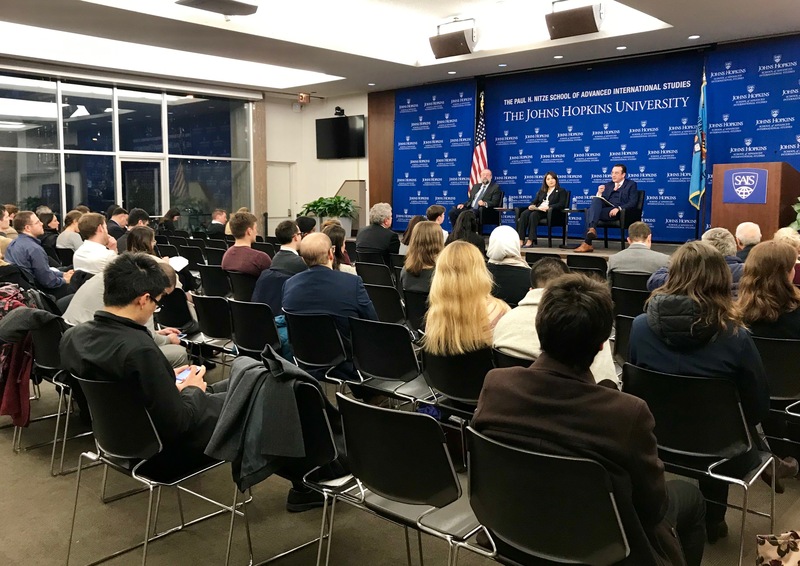 The conference brought together in two panels noted scholars, policy analysts, program implementors and representatives of the U.S. Department of State. 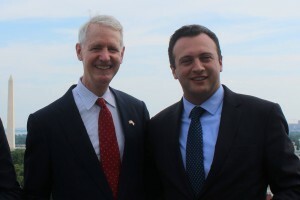 The Georgian government was represented by the State Minister on European and Euro-Atlantic Integration Mr. David Bakradze, and Deputy Minister of Foreign Affairs David Dondua. 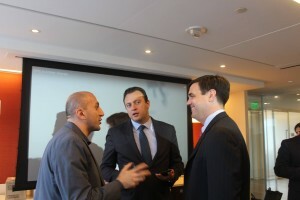 The Georgian Embassy was represented by both Ambassador Archil Gegeshidze and Deputy Chief of Mission George Khelashvili. 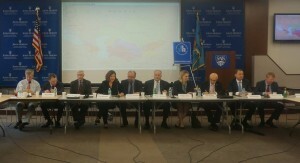 The Georgian representatives expressed concern about the “creeping annexation” of their country and their disappointment at the lack of movement towards a Membership Action Plan (MAP) for NATO. For their part, a number of American panelists, including Deputy Assistant Secretary of State Bridget Brink reiterated continued US support for Georgia’s Euro-Atlantic integration. 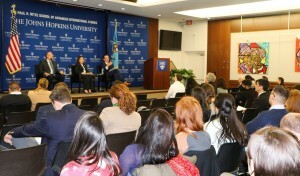 There was much discussion, particularly during a second panel moderated by the GA President Elisso Kvitashvili, on Georgia’s ongoing need to implement internal reforms that some panelists believed would enhance Georgia’s overall security through greater legitimacy of the government. 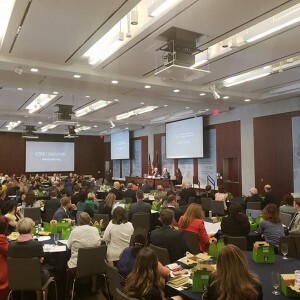 Several panelists decried the lack of job creation, poor social service delivery, and lack of innovation in the business sector as stumbling blocks to Georgia’s economic development. 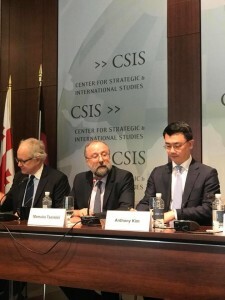 There was agreement that the West needed to devote more attention on Georgia especially in her role as a hub in the developing Silk Road Transport Corridor. 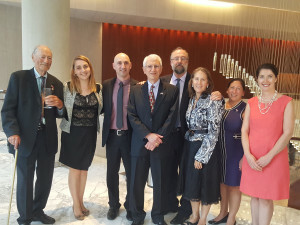 The conference was followed by a reception celebrating Georgia’s upcoming Independence Day. This year, 2016, Georgia celebrates its 25th anniversary of regaining of independence. 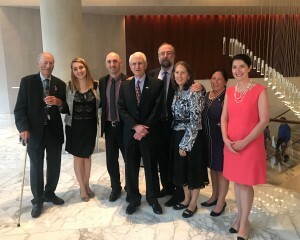 This year’s special guest of the reception was the co-chair of the Georgia Caucus in the House of Representatives of the US Congress Congressman Gerry Connolly (D-Va) who, together with Congressman Ted Poe (R, Texas) is a co-sponsor of a draft congressional resolution supporting Georgia’s territorial integrity. 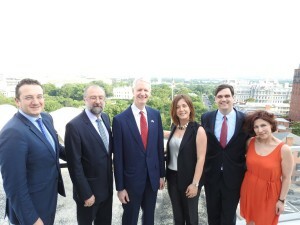 Congressman Connolly received a special award from the President of the Association Elisso Kvitashvili. 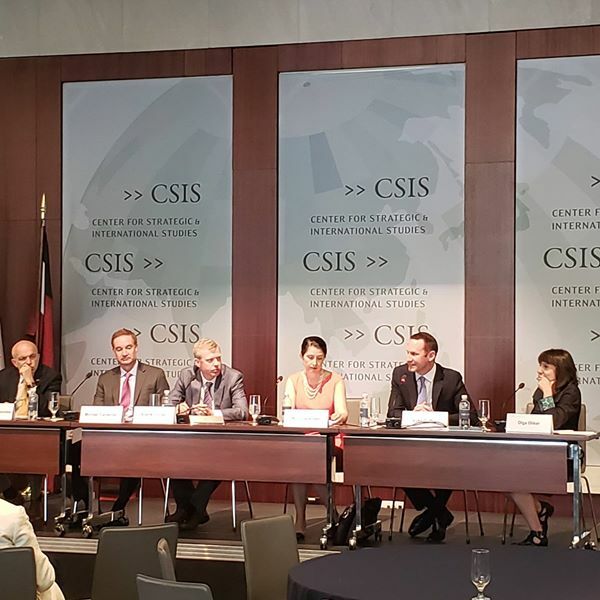 On April 19, 2016, the Central and East European Coalition (CEEC) comprised of a number of diaspora organizations including the Georgian Association in the USA, hosted a Policy Brief on Capitol Hill entitled “NATO’s Stance on Russia – Vision or Reaction?”. 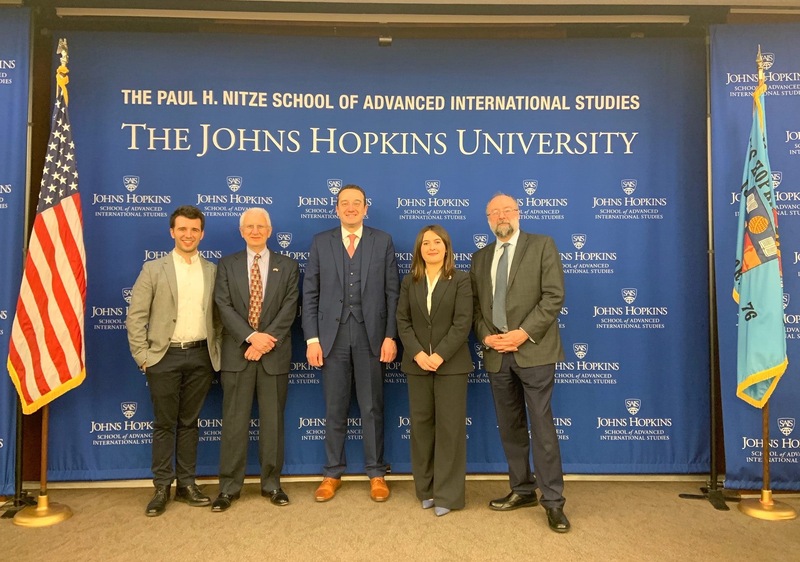 Speakers included Deputy Assistant Secretary of Defense Michael Carpenter, Former Ambassador to NATO Kurt Volker, Senior Staff member of the Senate Foreign Relations Committee Damian Murphy and, the Deputy Chief of Mission (DCM) of the Lithuanian Embassy in the US Mindaugas Zichkus. The meeting was opened by Marju Rink-Abel of the Estonian-American National Council and moderated by Mamuka Tsereteli, Georgian Association in the USA. 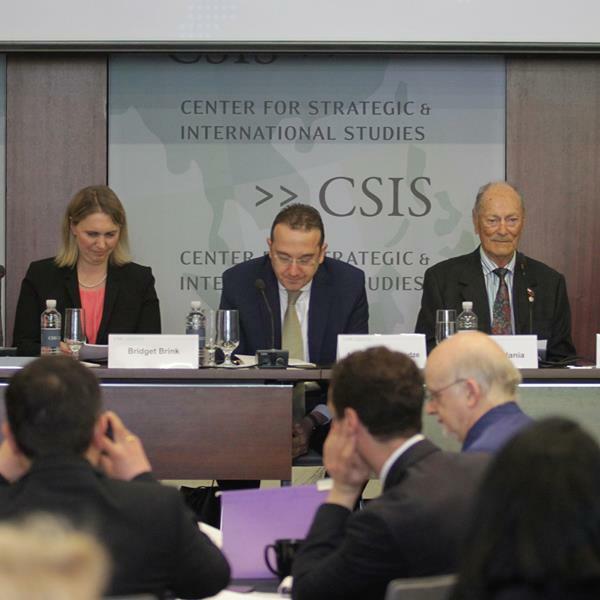 NATO should focus more effort to ensure Russia honors Minsk agreements. NATO should remain firm and resist Russian attempts to re-design the current security architecture in Europe that would position Russia to limit sovereignty of other countries in choosing their military or economic alliances and partnerships. Discussions were followed by a reception, with brief comments provided by the Ambassadors of Ukraine and Montenegro, the Georgian DCM and, a representative of the Ukrainian Congress Committee of America Mr. Michael Sawkiw. 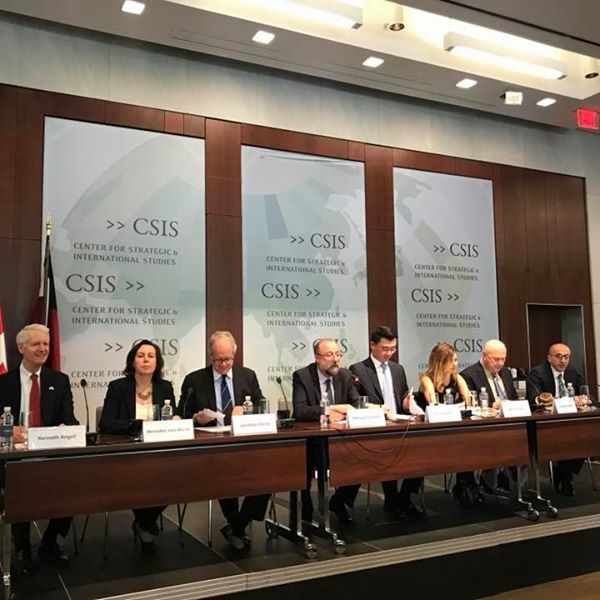 Georgian Association calls for active support of draft House Resolution, supporting territorial integrity of Georgia! 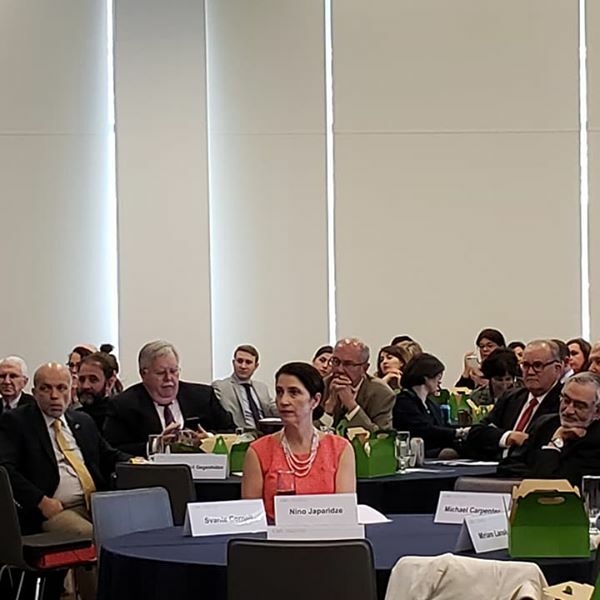 To pass the resolution, representatives Poe and Connolly need the strong support of their colleagues from House of Representatives. 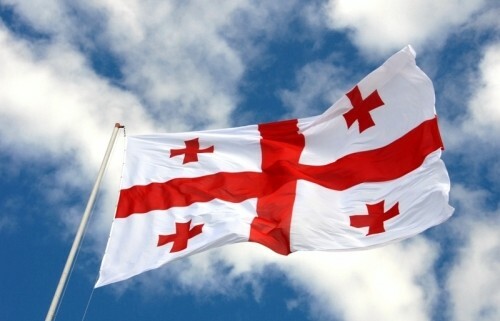 Therefore, the Georgian Association is announcing the week of April 18 as a week of advocacy for Georgian territorial integrity, sovereignty and security. 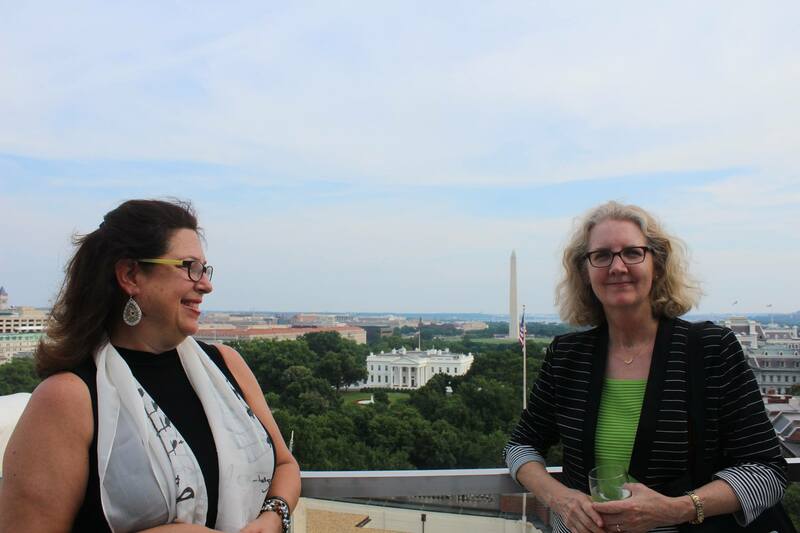 Dial the United States Capitol switchboard at (202) 224-3121. The directory for the members of the House of Representatives is the second option. 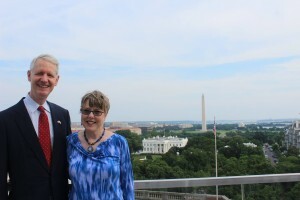 A switchboard operator will connect you directly with the member’s office you request. Often, the congressional office will ask for your name and address so the member may acknowledge your call by writing you a letter. Do not worry that you will be asked to justify or explain the policy behind your phone call.